Creative Symbol Font Shree Ganesha symbols font, free download creative and beautiful ganpati signs' .ttf file. Shree Ganesha symbols font, free download creative and beautiful ganpati signs' .ttf file. If we are working on texts and simultaneously we need some extra effects like adding signs and symbols (like arrows or picture) we just need to active an appropriate symbol font which contain those all signs in its glyphs. So symbol fonts are additional part of all other fonts while completing our work related to symbols or design. Ganesha symbols and Om symbols are of most used symbol fonts in India. Symbols fonts like Ganpati or Om are essential accessories for artist and painters who works on plotters or large scale printing. Symbols in the fonts are used to get the same pattern printed again and again without differences and oddness which also save a lot of time. So using font and .ttf file makes it quite easier because adding extra effect will not be any challenging work for any font user. 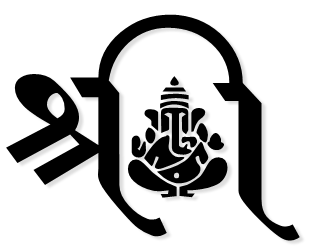 Many symbols fonts are available from which I am choosing some Ganpati symbol fonts. 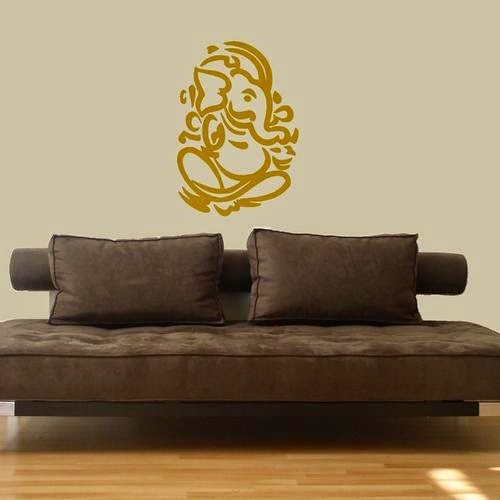 Ganpati sign and vectors makes things much good looking when we are talking about decorating our new house interior design or vehicle's special portion. It's common these days to have a cool ganpati logo in front of our bike or any other spiritual banner. Using .ttf font file for these purposes is a good choice, because it will not look like low quality image and also won't be pixlized when you zoom it on a big print area. But in case of other formats we can't find wide range of Ganpati symbols in high resolution and good quality. I am collecting some good symbol font and presenting here. As I get new font will surly add regularly here for you. To be notified stay in touch with us by subscribing our email service. You can give these fonts new look by adding some extra effects on them. More than 25 Ganpati symbols containing in it. Works only for uppercase keys. Very beautiful collection of Shree Ganesha symbols. All symbols are unique and spectacular. 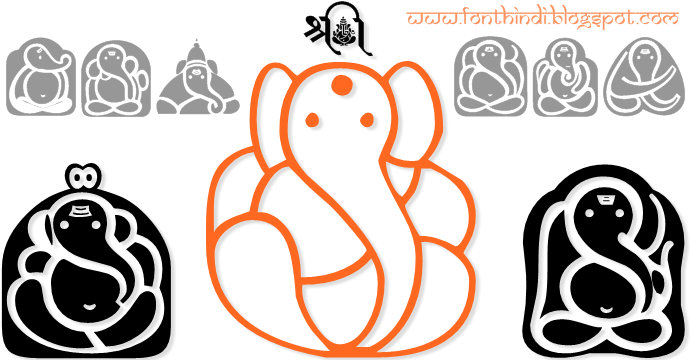 An awesome font for creative and cool Shree Ganesha symbols. Dotted Hindi font for a complete new look.